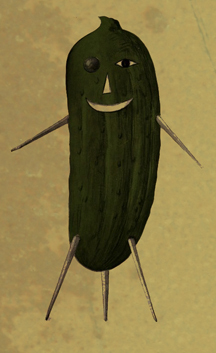 Oh and for the dirty pickle... just thought it was funny and the joke to follow [read on]. Ps. Why is there all this concern about Cain and his alleged encounters with women and their allegations on something that happened ten years ago. Hell, I am sure we all rubbed up someone wrong somewhere... come on think about it, so now I feel the need to talk about it... maybe shed a tear. To those ladies I give you the "Dirty Pickle Award" though you cannot get it for ten years, cause maybe it will run for office someday... I want to read about in your book and your fifteen minutes will have been up. I hope it also turns out that it is Justin Bieber's baby, that way Selena G can break up with him and start giving "Cal" the attention he deserves... I really need to listen to the radio and get out of my house more. I think everyone should leave Herman Cain alone. Not a single one of these lades said a damn thing till he got famous. lol. 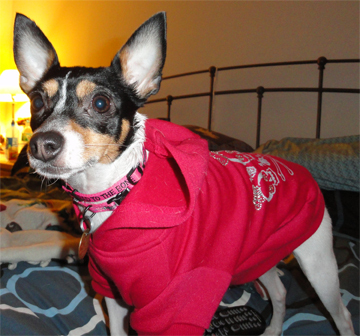 Izzy looks sharp in the skull sweatshirt! That's the weird part about running for president, everyone and their grandma wants to drag your name through the mud. Great little pup. Looks similar to the dog we had before. 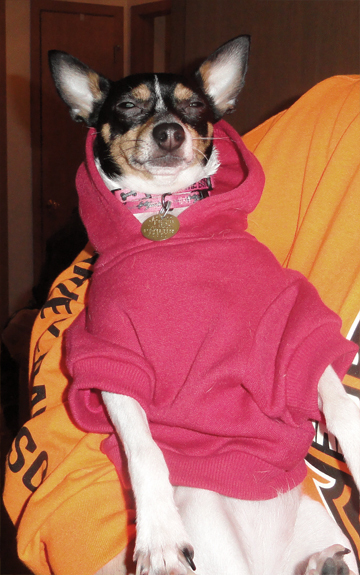 Her name was Peanut and had the cutest pink hoodie. LMAO I hope it's Justin's, too. Of course there will be a sonic boom of teenage cries if it is. I love Izzy! !